Woodmen Nissan, located in Colorado Springs, serves the Fort Carson area, providing the best deals on new Nissans and pre-owned vehicles. When you take the short drive down 87, 25 or 24 to see us at Woodmen, you’ll experience what true service is all about. Not only do we have the best deals on new Nissans and quality used and certified cars and trucks, but we value our lifelong customers and want to prove to you that you’ll get a fair deal and more – you’ll get a real commitment to quality from our sales and service professionals, who stand behind the quality of everything we sell. At Woodmen Nissan, we’ll treat you how we want to be treated. Our customers are more than just clientele; they quickly become old friends. 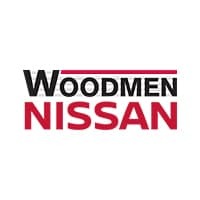 Our sales staff and experienced service staff are a true team who makes sure that all Woodmen Nissan customers know that we will stand by everything we sell — and that we’ll stand by the customers who buy from us. Looking for a new Nissan car, truck, SUV or crossover? We’ve got ‘em all at Woodmen Nissan. We stock more than 200 new vehicles at our showroom and lot. Whatever you’re looking for, we have the new car for you. Nissan Murano, Pathfinder, JUKE, Frontier, Rogue, Rogue, we’ve got ‘em. Don’t see exactly what you’re looking for? Want a different color? We’ll have it here, pronto. Testing the used car market in the Fort Carson area? Woodmen Nissan is the place to go. With more than a thousand used cars, including a large selection of certified pre-owned cars, we’ll have you behind the wheel of a quality car or truck in no time. We make buying cars – new or used – fun and stress-free. Come and see why the folks in Fort Carson keep coming to Woodmen Nissan, where they experience the best service and find the best deals on the highest quality used cars in the Fort Carson area. Every car, truck, SUV and other vehicle needs service and maintenance sooner or later. Having truly professional and courteous service professionals maintaining your car or truck can make a world of difference in how long you’re able to drive your newly purchased car. Any dealership can earn your business one time, but Woodmen Nissan is never content just to sell you a car. Our commitment to you is that our world-class service department will take such good care of you and your vehicle, you’ll never want to buy a vehicle anywhere else. Do you have impeccable credit? Maybe you need some extra help to get a car loan? Either way, Woodmen Nissan’s auto financing specialists can get you the best financing available for your situation. We do what it takes for our clients to get competitive rates from a variety of financing sources. We also offer fantastic leasing options. Don’t have any credit established yet? Don’t worry, chances are that our financing department can still help you get financing for a new Nissan or quality used vehicle. You’ll find Woodmen Nissan in northern Colorado Springs, directly south of the Air Force Academy. We’re just a short 25-minute drive from Fort Carson. Many of our Fort Carson customers browse our selection online before stopping in to our showroom. Feel free to give us a call to set up an appointment let us know what you’re looking for. We’ll have the Nissan or used vehicle you’re looking for ready for your test drive when you get here. Come see why so many first-time Woodmen Nissan customers from Fort Carson become life-long Woodmen Nissan customers.